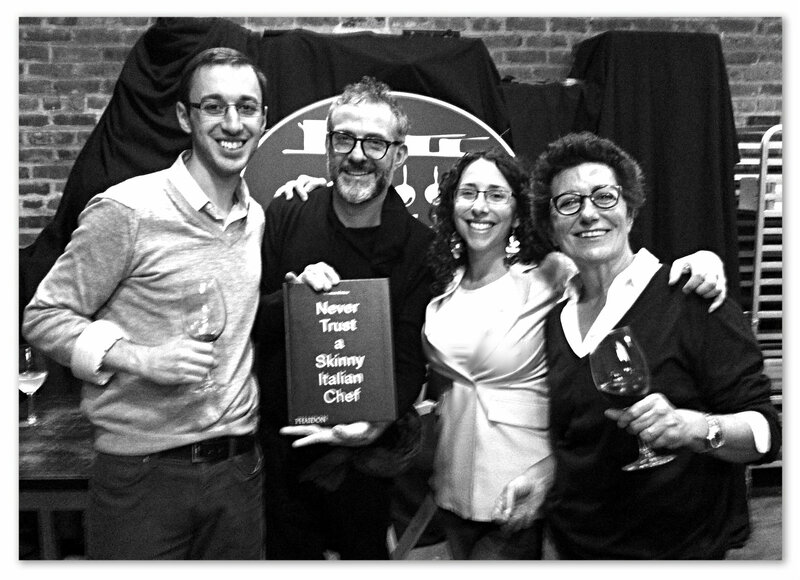 Team Gustiamo had the extreme pleasure of meeting Chef Massimo Bottura at the Brooklyn Kitchen. 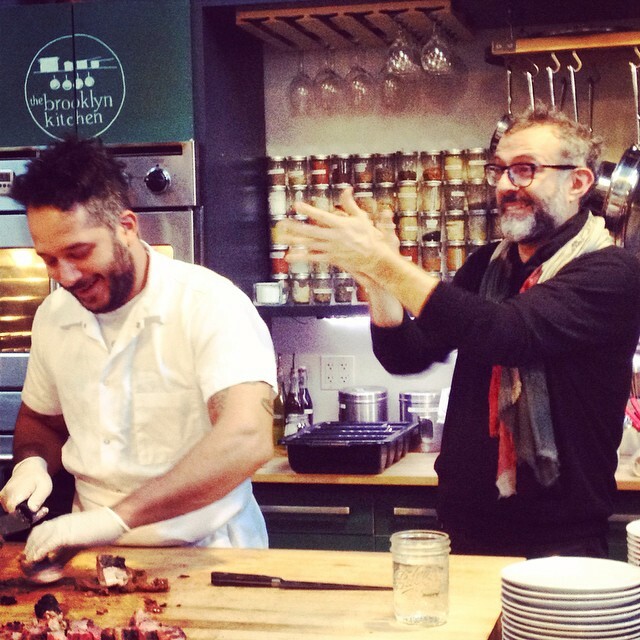 Here he is, applauding our friend Chef Carlo Mirachi of Roberta’s for his outstanding porchetta. We were applauding too. We spent a delightful Sunday afternoon drinking lambrusco, catching up with our friends at The Brooklyn Kitchen, and chewing the fat (literally AND figuratively) with Miss Cheeky Chef. Chef Massimo was magnificent. He spoke about the connections between food and art, something we think is very important. Also, he spoke about his book, which in Italy is called “Vieni in Italia con me” (come to Italy with me), but in the USA is called “Never Trust a Skinny Italian Chef,” which of course is very funny because Massimo is quite fit. He was truly gracious and charismatic. We must make time for a meal at Osteria Francescano next time we are in Modena.